Deadline is reporting The latest twist in the Alex Timbers/Disney saga is news that the acclaimed Broadway director/writer and co-creator of Amazon’s Mozart In The Jungle is negotiating to direct Cruella at Disney. Emma Stone, who received both a Golden Globe and SAG nomination this week for her role in La La Land, has been attached for a while in the live-action re-imagining of the villain’s tale from the children’s classic 101 Dalmatians. This news about Timbers, a two-time Tony nominated writer and director and artistic director of Les Freres Corbusie, comes after he and Disney parted ways last summer over the Broadway-bound adaptation of Frozen — a project he was to direct. 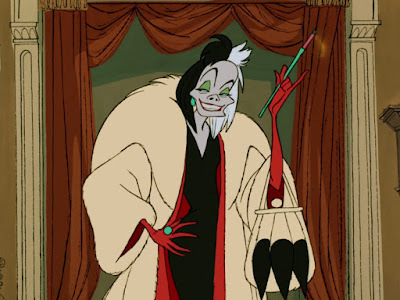 Cruella keeps Timbers in the Disney fold, at least on the West Coast side. Timbers hasn’t wanted for work. He’s about to begin rehearsals at the Public Theater with Joan of Arc: Into The Fire, his second collaboration with Talking Heads’ David Byrne after the huge hit Here Lies Love about Imelda Marcos. He navigated the successful Broadway opening a few weeks ago of Oh, Hello On Broadway, the transfer of the popular cable comedy Oh, Hello. He had a financial flop with the Broadway musical version of Rocky, but also won acclaim for staging Bloody Bloody Andrew Jackson and co-directing the Tony winning Peter And The Starcatcher with Roger Rees. He’s working with Baz Luhrmann on the stage adaptation of Moulin Rouge.